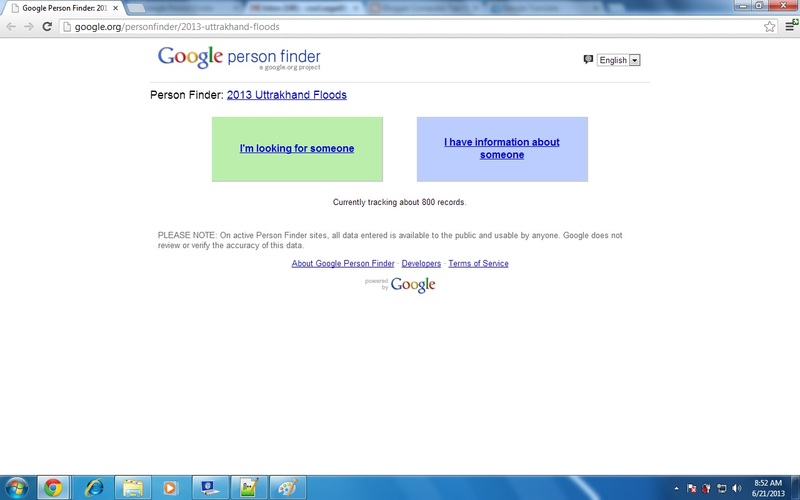 Search engine giant Google has launched an application called “Person Finder” to offer information on missing people in flood-affected areas in the country, including Uttarakhand. 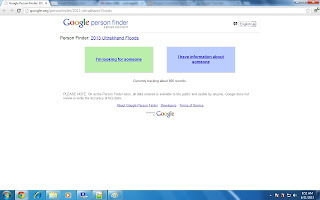 If you have information about someone or looking for someone missing in uttrakhand floods then please visit - http://google.org/personfinder/2013-uttrakhand-floods. 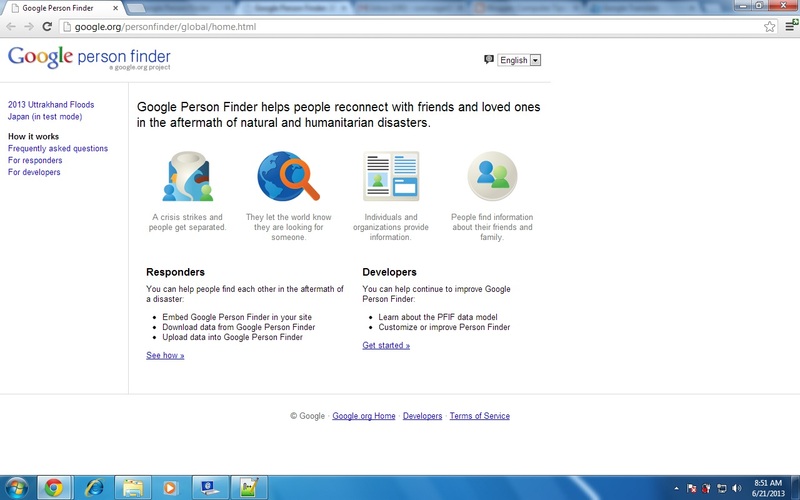 Google Person Finder Application trace the missing people in flood-affected area. All the information entered into Google Person Finder Web application is available to the public and searchable by anyone. The application also lets press agencies, non-governmental agencies and others contributors to the database and receive updates by using the Person Finder. 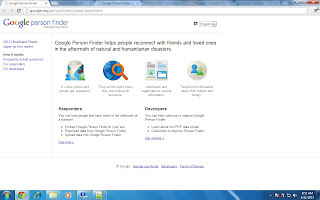 Google Person Finder is an application which helps people reconnect with friends and loved ones in the aftermath of natural and humanitarian disasters. Replace repository with the appropriate repository name. To Request Google Personal finder api click here. Great site good jobRemodeling home Products and services keep sharing this..